Say YES to What Supports You! Do you say “yes” to what supports you? Are you even recognizing support as support? Most of us don’t like to ask for help and support lest we seem weak and unable to support ourselves. The reality is when you start recognizing and saying “yes” to those people or situations that are actually supporting you and saying “no” to those that don’t you are actually taking charge and supporting yourself in the process. The universe is here to support you! First and foremost the universe and your very spirit is here to support you but how often have you pushed away the seemingly inane experience which might actually be the very support you’re looking for? At first this may feel a bit like taking a leap of faith but a little faith goes a long way. When you meet challenges with faith and trust that you are supported and not alone you are starting to say “yes” to yourself. Saying “yes” to yourself is you trusting yourself and then you can start saying “no” to those things which don’t support you. When a challenge be it emotional, physical or otherwise comes your way, take a deep breath, ask for support and be aware of the support that comes your way. Support is not support if you push it away or resist it. Support is not support if you’re not aware of it. Support is also not support if you’ve created a perfect picture or illusion of what you think it should be. Be open to the possibilities that come your way. Keep an open mind to what you are receiving. Yes, there will be people and situations that come your which don’t support you but with an open mind give yourself complete permission to say no. With every opportunity that presents itself ask yourself ‘does this support me?’ and if the answer is YES then by all means say YES. 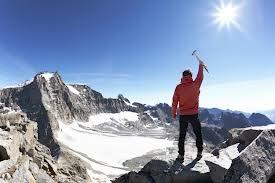 Conquer the mountain of ego and pride! Most often it is our ego and pride which get in the way of our saying “yes” to support. We all want to be perceived as strong but how many of us really have it all together in perfect harmony? Stop worrying about how people perceive you. Send your ego and pride on a vacation and say “no” when they get in the way. If you were starving and someone gave you a sandwich and cup of coffee would you say ‘no this doesn’t support me’ because it’s not a steak and glass of wine? If you didn’t have any shoes and someone offered you a pair would you say ‘no this doesn’t support me’ because the shoes don’t go with my outfit? Those may seem like ridiculous examples but if you think back to a few of the things you said no to in the past, there are probably things that are similarly ridiculous. At the time you may have said ‘no’ because your ego and pride got in the way. Ego and pride are the little voices that say the support that presents itself somehow diminishes you. Conquer the mountain of ego and pride by making a mindful, conscious choice to say “yes” to anything and everything that supports you! If you really did said no because it truly didn’t support you, take note of what you learned from that experience. Just make sure ego and pride don’t get in the way of saying “yes”. Previous Post How do you want to be loved?